PT Holcim Indonesia Tbk - HIL or referred to as "Holcim Indonesia" is one of the largest cement manufacturers in Indonesia. Based in Jakarta, Holcim Indonesia has 4 cement factories with total installed annual production capacity of 15 million tons cement. Holcim Indonesia's cement factories located at Narogong West Java, Cilacap Central Java, Tuban East Java and Lhoknga Aceh. Holcim Indonesia also supported by 1 subsidiary company, namely PT Holcim Beton and 2 grinding facilities in Ciwandan Banten and Kuala Indah North Sumatera. Holcim Indonesia running business in integrated cement industry. Its business include producer of cement, ready mixed concrete and aggregates. 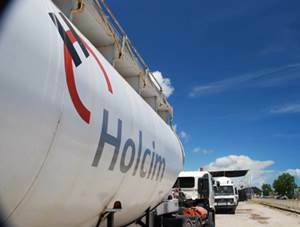 Holcim Indonesia is a local subsidiary company of Swiss-based LafargeHolcim Group. Holcim Indonesia is listed on the Indonesia Stock Exchange (IDX) and its shares are traded under reference code SMCB. As of December 2016, PT Holcim Indonesia Tbk is 80.65% owned by LafargeHolcim Group and 19.35% by public. In term of financial performance, PT Holcim Indonesia Tbk managed to record total net sales of Rp 9,458.40 billion in 2016. This total sales reflected an 2.37% increase from total net sales in 2015 amounted to Rp 9,239.02 billion. Holcim Indonesia recorded a total comprehensive loss of Rp 274.31 billion in 2016 as compared with total comprehensive profit in 2015 amounted to Rp 144.98 billion. This figures was stated by PT Holcim Indonesia Tbk in its Annual Report 2016 as cited by JobsCDC.com. Bachelor or Master degree (S1/S2) graduate with relevant engineering background. Academic achievement by GPA > 3.00 from scale of 4.00, a champion in academic competitions. Fluent in speaking, writing, and listening in English with TOEFL score minimum 500. Willing to be poster in other cities. Ready to be on board by January 2019. JobsCDC.com now available on android device. Download now on Google Play here. Please be aware of recruitment fraud. The entire stage of this selection process is free of charge. PT Holcim Indonesia Tbk - Graduate Development Program Holcim August 2018 will never ask for fees or upfront payments for any purposes during the recruitment process such as transportation and accommodation.